Dr. Fifadara truly believes that everyone deserves to have the kind of smile that always fills them with confidence, but if your teeth cause you to feel anxiety because of aesthetic flaws, she’s ready to help with cosmetic dentistry. She’ll work with you to design your ideal look, and using the treatments below, she’ll turn it into a reality right before your eyes. The smile you’ve always wanted can be found right here at Fulshear Dental, and to get started, all you need to do is give us a call. 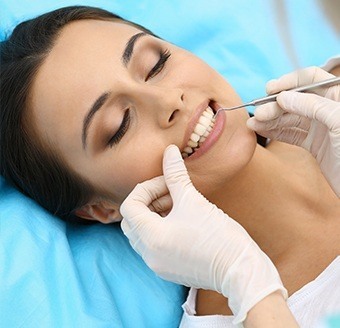 Why Choose Fulshear Dental for Cosmetic Dentistry? 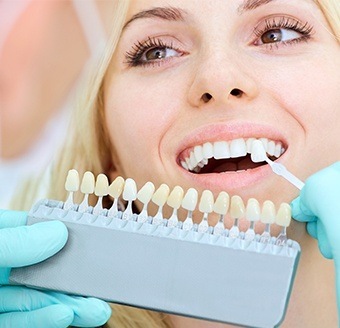 Whether you’re dealing with stains, chips, cracks, or gaps, porcelain veneers can make any issue practically disappear behind a pristine white smile. 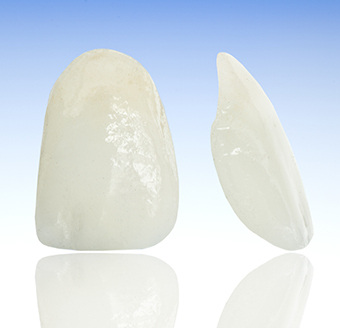 Thin ceramic shells are bonded to the front of the teeth, improving their appearance while also strengthening them. Porcelain veneers are custom-made for every patient based on their preferences, so you can get just one or completely transform your smile with a full set. Better yet, the process to get them only takes two appointments. Want to dramatically improve how your smile looks without actually changing your teeth? That’s exactly what you can do with Lumineers. They are fitted directly to the front of the teeth to mask any imperfections, and they are so thin and light that the teeth don’t have to be altered at all. They are a more conservative alternative to porcelain veneers, but they’re still able to deliver the same beautiful results. Many patients prefer them because they enable someone to easily go back to their natural smile if desired. Many patients with damaged front teeth worry that a dentist will simply place a gold or silver crown over it that will instantly stick out in their smile, but that’s never a concern here at Fulshear Dental. Dr. Fifadara can provide 100% porcelain crowns that are specifically designed to be as natural-looking as they are strong. With them, she can restore a tooth’s original appearance and function at the same time, making it easy for a patient to smile with full confidence. Direct bonding is an ideal treatment if you have one minor flaw in your teeth such as a small stain, minor chip, or thin gap. 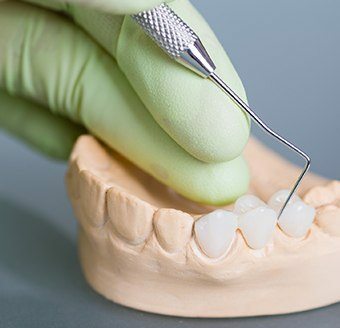 Dr. Fifadara will simply apply a composite resin to the affected tooth, and using her skilled hands, she’ll gently shape it to completely cover any blemish. The entire process only takes about an hour and is 100% painless. Plus, the improvements can last for several years. Want to get a dramatically whiter smile as quickly as possible? If you have a wedding, reunion, or job interview just around the corner, Lumibrite Whitening can get rid of stubborn dental stains in just an hour or less. Lumibrite’s high-powered bleaching gel is applied to the teeth and then exposed to a special low-UV light, helping it literally break the bonds that hold stains together, allowing your enamel’s natural whiteness to shine through. In just one appointment, it can make your teeth up to 8 shades brighter. Rather than wasting your time and money on an underpowered whitening treatment from the store, Dr. Fifadara can send you home with your own custom-made kit that includes professional-strength products you can only get through a dentist. Our kits consist of a set of mouth trays as well as a highly-concentrated bleaching gel. Just use them together every day for about a week or so, and you’ll watch as your smile becomes brighter and brighter right before your eyes! Whenever you smile, does more gum tissue show than teeth? 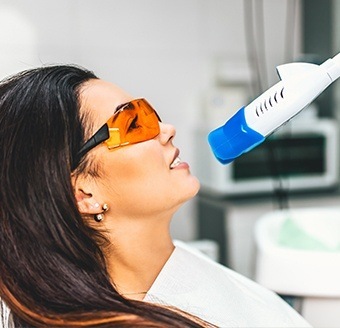 If you’re looking to fix your “gummy” smile and get that perfectly balanced look, Dr. Fifadara can use a soft tissue laser to give it to you. 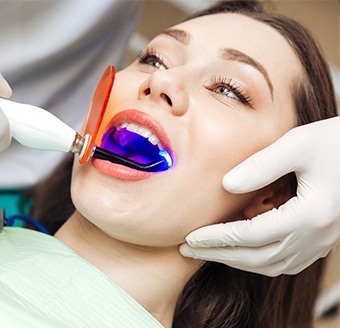 The laser’s beam of light can precisely and comfortably remove excess tissue to instantly make the teeth appear longer. Once more enamel is exposed, a patient can even choose to get porcelain veneers placed to put the finishing touch on their smile makeover. Tired of feeling self-conscious about your misaligned teeth? Have you avoided getting them straightened for years because you didn’t want to face the world with metal braces? 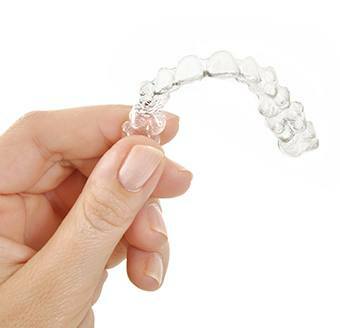 Now, you have a better option with Invisalign. 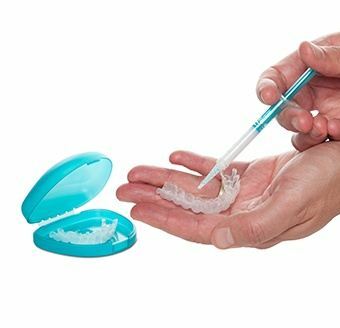 Comfortable, subtle, and effective, this clear aligner system enables adults to get the orthodontic treatment they need without altering their daily appearance or lifestyle. The aligners practically disappear on the teeth, and they are easily removable as well, meaning you’ll be able to maintain your normal diet and brushing habits.